My 5 year old LOVES superheroes. Everything about them. He draws them, he talks to them, he pretends to be them. All of it. 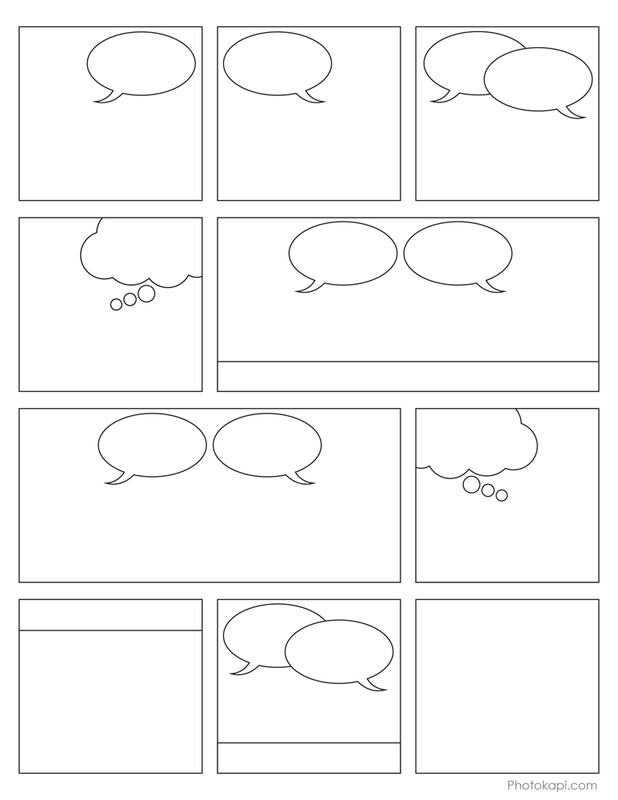 With this in mind, I created this printable comic book page that he can create his own stories to his hearts content. It can be used as a single page, or make multiple copies, and cut out the specific sections you want. Have fun! Also check out the free Superhero cape printables.